**I want to apologize if this is in the wrong section and would ask an admin to move it to the right section if so. I have a medical marijuana card for many reasons in the us and was looking for tips on possibly finding cannabis for healing reasons. Just for reference: It is _legal_ to possess up to 10g of product containing THC (concentration of THC is undefined). It is _not legal_ to consume cannabis, so make sure that you can provide an appropriate response when questioned. See https://www.hanflegal.ch/wiki/start for details. I am not familiar with Lausanne, but in Zurich (city), there are some very well-frequented places where the sweet smell is unmistakable. Simply walk up and ask. And, no, sorry, no experience whatsoever except being annoyed by the smoke (almost any smoke, for the record). So far this medical permit didn't work in Switzerland. Unfortunately as it helps with Parkinson and I would have loved to put an aunt of mine on it. I would approach a doctor first. Rules always change or there are ways he/she might know. Before you got to the street-market. If you're forced to buy it illegally you should find a source/connection that can deliver on regular bases in a private enviroment rather than exposing yourself on the street. That's how I used to do it in the old days. Sorry, can't help you with sources as that was 25 years ago. The law here AFAIK is that possesion of small amounts is a small fine, if the police would even be bothered. Selling or giving away cannabis on the other hand is a grave offense. Also, I heard of a guy whose neighbor called the police because he was growing a few plants on his balcony. Most people don't care I guess, but if the police are caled they have to come and investigate. He pulled up in his car and the cops were waiting for him at his home. Because he'd been driving, they gave him a blood test or urine test and he was above the legal limit for THC in the bloodstream, even though he wasn't stoned at the time. So he got charged with the equivalent of DUI..with severe penalties. This was in Kanton Luzern, but maybe things are a bit more liberal in Geneva?.. Guess which company is getting into the business of marijuana? And who wants a slice of the pie? I am surprised that the tabacco companies haven't arealdy staked a claim in the game; I thought they were already involved, albeit behind the scene. If somebody has some contact on where to buy weed, i would be very interested, thanks! Last edited by Papa Goose; 18.08.2016 at 15:07. Reason: Removing username, post was deleted. So, summer is over and it's cold outside and I can't sleep. If I could get some weed, I'd sleep again. I have run out of my supply and can't seem to locate any here in Basel. Does anyone have ideas of what might be available to me until I can get with my doctor? Even then, I don't know if that works here. I know this is not necessarily something one asks on a forum but after weeks of sleepless nights, I'm doing whatever I can to make these connections. I'd appreciate some guidance. Thanks. Reduce your dependency and learn to sleep without drugs, legal or otherwise. Giving up caffeine did it for me. You can find cannabis products in Germany, legally sold. Not sure of weed per se, but CBD (I bought this), cookies - didn't buy, so not sure of them. I don't use any kind of caffeine at all. Gave it up years ago. I have tried sleeping pills and found the hangover worse than weed. I have tried antihistamines and they have activated restless leg syndrome and sometimes just make me wired instead. I've tried many things and my doctor knows about my insomnia but I didn't mention that weed helped with out any hangovers or other side effects. So if you could offer how this is done, I'd appreciate that. Thanks. Really? Where? Can you give me an address please? Thanks. There's a hookah bar in Luzern that has the CBD stuff for sale. It's on the Neustadt side of the river near the Jesuitenkirche. Thanks for the tip. I'll check them out. Is there anything like this in Basel? Are these hookah bars open during the day? Like Sat or Sunday? No wonder he couldn't help much then. You left out a vital piece of information. Are you saying you're fine in the summer, but need this in the winter? May be that you need one of those sunlight gadgets you sit in front of for a bit every day. I'd go back to your doctor and tell him the whole story, not part of it and then see what he advises. My understanding is that it's not illegal to grow a few cannibis plants for your own use here, but obviously distribution of the product is. At least plenty of EFers have said their neighbours do this. Even though you all assume that a small amount of weed is tolerated this is however not the case. Should you be a car driver then you should be aware of what actions the law takes here. Should you be unlucky enough to find yourself in a roadside control & you are found in possesion of any amount of weed, hash, oils or what ever the Police will take the view that at some time you have been driving under the influence. Should you then have to take a urine test, the Swiss test shows not only if you are under the influence, have THC in your system but also shows up if you are a regular consumer. Both will result in a minimum driving ban ( on the spot ) for 3 months. You will then have to attend a medical & psychological test the results of which will determine how long your unfit to drive. The reality here is that the more it is tolerated the more reason the police have to conduct roadside tests. One really important thing to know here are your rights concerning roadside tests. The Police are only permitted to test for one class ... So if you get stopped and blow into a breathalyzer they can not actually demand a urine test - you have to agree to it or admit you smoke ( I DID THIS BY MISTAKE ) if it's late night control you can ask for the Statsanwalt to be present. In worse case the cops then have to take you to hospital for a blood test. 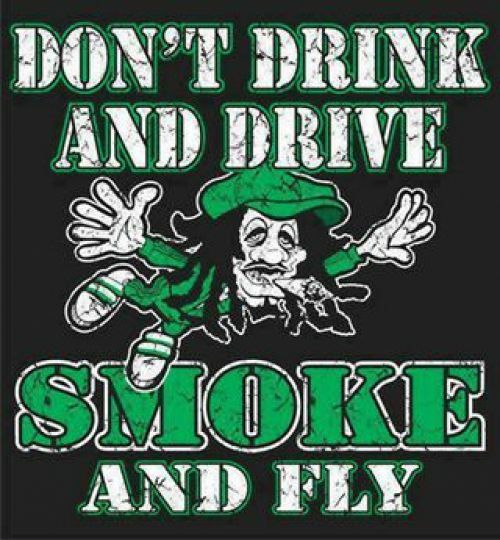 No matter what regular smoker think, THC does affect your driving reactions and stays in your system ( for regular consumers - 1 or 2 joints a week) for ever ... it is not like alcohol .. I was a regular and enjoyed smoking with my mates but I have taken the reaction tests and it's quite astounding what even a small amount of THC does. I feel that for medical reasons it should be available but if your a driver you should have to give up your driving license ..
Whoa, that's worse than a DUI in the states (cost wise). Yikes. I'm sorry you had to go through that. I don't smoke and drive. I usually smoke, read a bit and head to bed so I can sleep. The other day, I was driving home from Mulhouse and realized, I haven't driven after dark (it was 5pm) in so long that I questioned my sanity! I am menopausal age and don't party like I was 20 anymore, although I do miss that sometimes. I'm more of the smooth jazz gender. Thank you for sharing that story. It's surprising that you had to pay so much. I don't drink and drive either because I can't handle alcohol like I was 20 either. If my spouse and I go out, he drives (because he won't drink and drive either) and I co-pilot. Thanks.